Everything VR & AR is a weekly podcast covering technologists, enthusiasts, and companies with real world deployments of VR and AR experiences. It was rated the #1 podcast among 11 Top VR & AR Podcasts in 2017. Learn from interviews with the leaders in gaming, entertainment, productivity, enterprise, social, education, medicine, software, hardware, psychology and more. Your hosts are Tyler Gates and Sophia Moshasha. Tyler is the Managing Principal at Brightline Interactive and President of the Washington D.C. chapter of the VR/AR Association. Sophia is Director of Immersive Platforms at Brightline Interactive as well as serving as the Vice President of the Washington D.C. Chapter. Thanks for your interest in being a sponsor of the Everything VR & AR Podcast. We'll be in touch shortly to discuss availability. Thank you for your interest in being on the Everything VR & AR Podcast. We'll be in touch shortly to discuss with you. 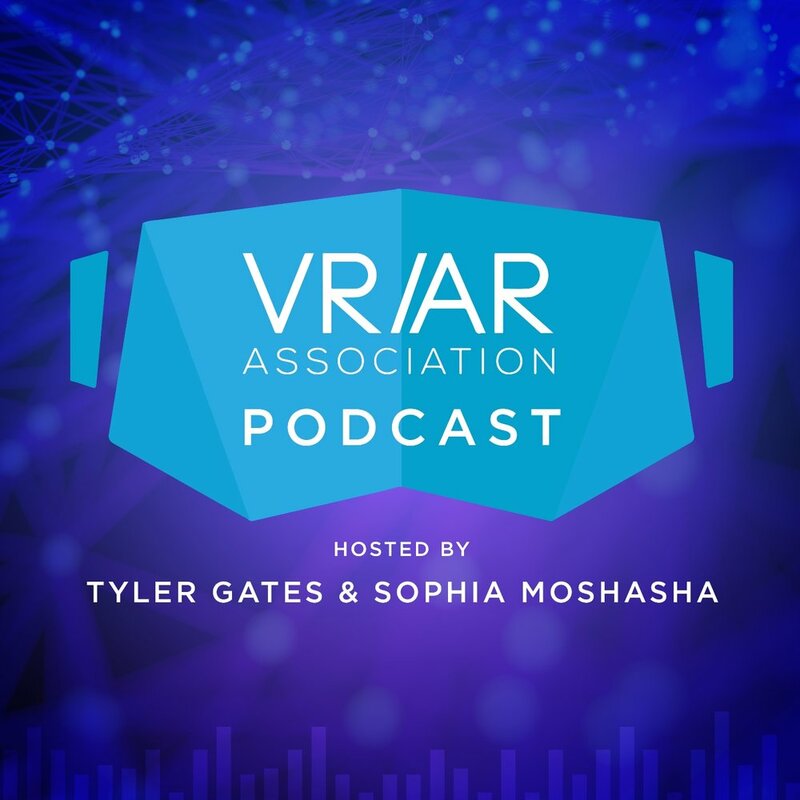 Tyler Gates, who is the Principal of Brightline Interactive & President of the VRARA DC Chapter, talked with Cory Key and Gina Scarpulla of Discovery Communications at a past event held by the VRARA DC Chapter. On this episode we are talking about worldscale VR, its unique affordances, and whether 'location-based experiences' might have a future beyond arcades and dedicated spaces. Michael Conelly, President & Creative Director of Blackthorn Media with is an Academy and Emmy award-winning team of content creators, Paula Fairfield, an accomplished sound designer. We discuss their latest project, Caliban Below, an immersive VR experience set in 1680 in Northern Italy where you, Caliban, have to learn why you’ve been trapped in a dream. Caliban Below is available now on Steam. We are joined by Oliver Noteware Co-Founder & CEO and Alice Formwalt, Co-founder & CPO Street Smarts VR, which provides immersive virtual reality simulations for reality-based training of law enforcement and public safety personnel. We are joined by Tim Nakonechniy of Live Animations which is an international IT company specializing in the development of innovative products with augmented reality (AR) for children. Live Animations has released 4 world-famous children's books with Little Hippo: "Little Red Riding Hood", "Three Little Pigs", "Velvet Rabbit", "Masha and the Three Bears". Our guest is Sam Watts, Director of Immersive Technologies at Make Real. Make Real, develops immersive digital products for learning and change. This includes virtual reality, augmented reality and serious games for global customers. In previous leadership roles, Sam has delivered and supported dozens of digital products at Zynga, NCsoft, Kerb and Epic. Anne-Marie Enns, Executive Producer of the VR/AR Global Summit, shares with us the inside scoop on what to expect at the Global Summit conference, taking place in Vancouver on September 21-22 2018 at the PARQ Hotel & Casino. We are joined by Mafalda Ricca, who is the Executive Sales & Marketing Director (Tech and Tourism Sector) of GEMA (Jemma) Digital. This episode we talk with Siddharth Saxena, Founder & CEO of Oblix, a VR startup based in Brooklyn New York. Siddarth joins us to discuss their first first product release - Go Guess - which is a multiplayer geographic guessing game for virtual reality. It's now available on Steam for Rift and coming soon on VIVE. Sign up below to know when new episodes are available and other news from the VR/AR Association.